Stir-fry to 590 yuan "Re-Link 4" to grab tickets comparable to the Spring Festival! 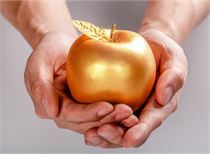 These A-share companies are waiting for the money. Not yet officially released, "Avengers 4: The Final Battle" is on fire to subversive cognition. How popular is this movie released at 0:00 on April 24? On the first day of pre-sale (April 12), it was the fastest record in China's film history. It is worth noting that "Reunification 4" is the end of the stage of the Marvel series of films, and this time in the domestic release of other countries in the world for two days, domestic fans are no longer worried about being spoiled.The major theaters also took advantage of this business opportunity, frequently paying hundreds of dollars for the premiere high-priced ticket, even instantly robbed. Naturally, the participation of "yellow cattle" is also indispensable.Even if the price doubles, there are fans who are willing to shoot. According to industry insiders, "Reunification 4" is expected to boost the box office market in the second quarter.China with foreign film introduction and distribution advantagesFilm (600977) is expected to benefit. When talking about "Reunification 4", I have to talk about the hot scene that this ticket is hard to find, and even more netizens joked that "the intensity of the ticket is comparable to the Spring Festival." The first to ignite the enthusiasm for ticket purchase is Shanghai Wanda Studios. Recently, the official Weibo of Shanghai Wanda Studios launched the "Emperor" at the premiere of April 24.The fare for a single ticket is as high as 300 yuan, and there are only 50 seats in each studio.. This also attracted a heated discussion, even approved by netizens as "official ox", and then the microblog was deleted. However, the high fare of "Reunification 4" did not stop there. Beijing, Shanghai and other theaters frequently appear high-priced tickets ranging from 300 yuan to 500 yuan. 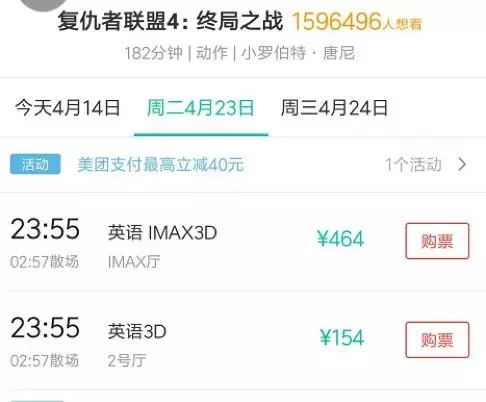 Take a movie ticket price in Shanghai as an example.23 April 23:The 55-minute premiere fare reached 464 yuan.And the theater is showing a visual blockbuster "Thunder Shazan!" The fare is only 93.9 yuan. The Lighthouse Professional Edition data shows that the average fare for the "Reunification 4" pre-sale on April 24 reached 59.9 yuan, and reached 65.5 yuan on April 25, which is far more than the current release and upcoming works. 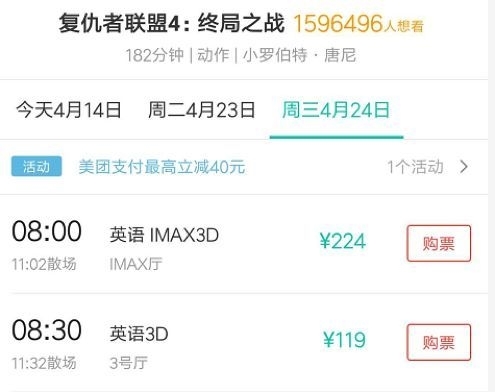 have to be aware of is,At present, some of the high fares of "Reunification 4" are mainly concentrated at the zero premiere, and the daytime games are normal fare sales.As mentioned above, the Shanghai Cinema "Re-Link 4" daily fare is lowered from 224 yuan to 284 yuan. High fares also attracted "yellow cattle. 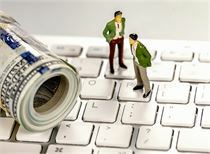 "A premier movie ticket for the original price of 295 yuan has risen to 590 yuan on the second-hand trading platform.. In order to be the first to see this movie, Marvel loyalty powder rushed to grab the ticket in the first time, even if it missed the zero premiere, there were fans in the second period of three in the morning, so there was a "review of the complex." Hot search for the topic of whether it is going to work at the premiere. It is worth noting that "Reunion 4" has become the second film tailored for the IMAX experience by directors Joe Russell and Anthony Russell after the "Avengers 3: Infinite War". All films are using IMAX cameras. Shooting. 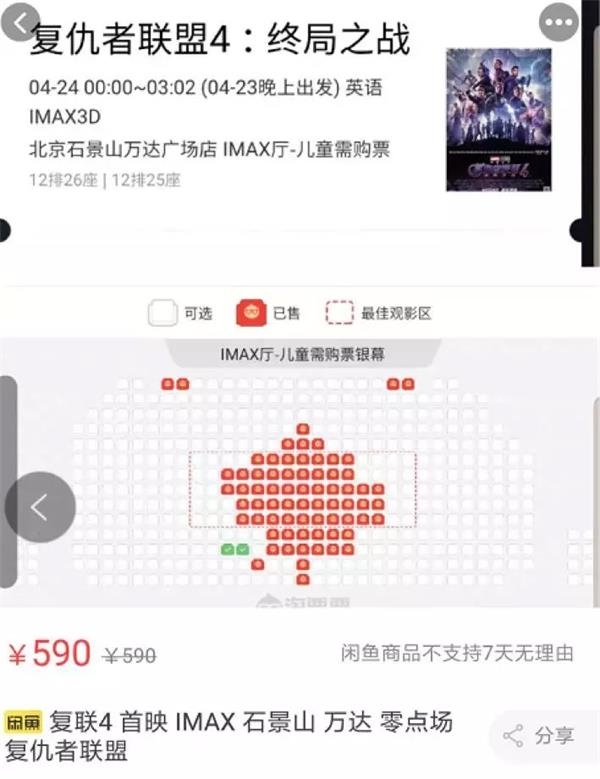 The China Securities Journal reporter found that many fans favored watching the IMAX version, and many of the premiere games had a hard-to-find picture. 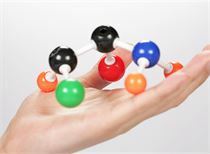 "This is a scarce resource. If the theater does not mention high prices, the folks will also speculate on this price." A film and television in BeijingAnalystIt is said that "Reunion 4" can lead the world premiere in other regions, making Chinese fans more proud, and it has a good fan base. The appropriate premium is not surprising. The reason why "Folk Alliance 4" has such a high fan enthusiasm stems from the overall influence of the film's predecessor and Marvel. In 2008, Marvel spent $185 million to build "Iron Man" aligned with Hollywood's first-line blockbuster. After the release, the world achieved a box office of 580 million US dollars.This also announced the successful opening of the Marvel universe.. Subsequently, the US captain, Raytheon, the Hulk and other heroes also appeared. In 2012, the "Avengers Alliance" brought together the super heroes for the first time, and opened the "team battle" mode. The rich plot also made Marvel's popularity reach a new height. As the Marvel Classic movie series, the first three of the Avengers were released in May 2012, May 2015 and May 2018, respectively, with excellent box office and word of mouth. At the box office,The three "Avengers" are the monthly box office champions, and nearly half of the box office in the month of the show.. In terms of word of mouth, the first three sections of the Avengers scored 8.1 points, 7.3 points, and 8.1 points. 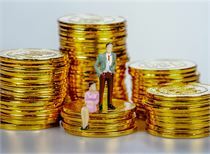 The three films at the box office in the Mainland were 569 million yuan, 1.464 billion yuan and 2.39 billion yuan respectively, and the subsequent work nearly doubled. The story of "Reunion 4" took place after the tyrannical annihilation of half of the universe and the creation of the Avengers Alliance. The remaining heroes were forced to fight back and write the final chapter for 22 Marvel films. 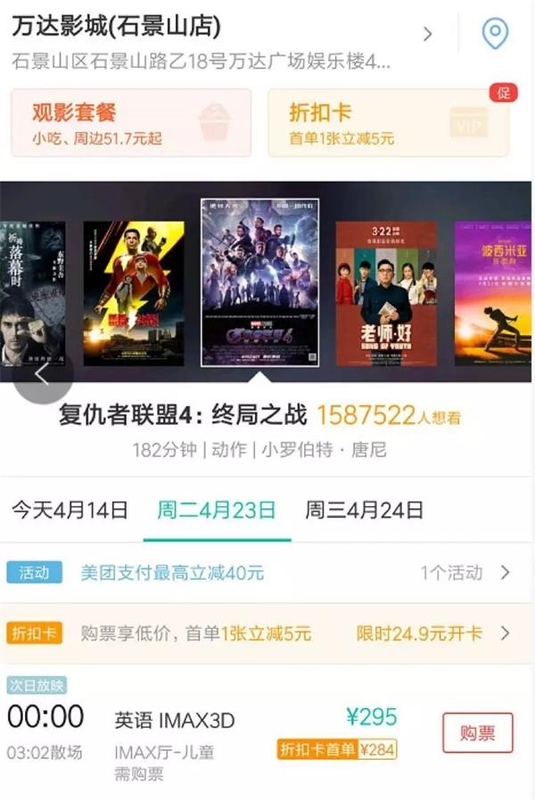 As of April 14th, before the press release, the Lighthouse Professional Edition data showed that the "Avengers 4: The Final Battle" wanted to see the number of 2.581 million; the pre-sale box office was 232 million yuan, of which the pre-sale on the premiere day was 78.089 million yuan. The premiere day totaled 125,000. Judging from the pre-sale of the premiere on April 24, Fulian 4 “rolls down” the same-grade movie on various data. The aforementioned Beijing film and television analysts expect that "Reunion 4" will be expected to create a box office record for the series, but will not incite the domestic box office record. He pointed out that"Fulian 4" is a Hollywood movie with its own "ceiling". The core users are limited, and the box office is not as good as "War Wolf", "Wandering Earth", etc.The popularity of "Reunification 4" is mainly concentrated in three weeks, and it is expected that the box office will reach 2.8 billion yuan. 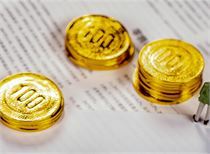 "The average fare of "Reunification 4" is generally high, and if it increases by 10%, it will contribute 2-3 billion yuan." 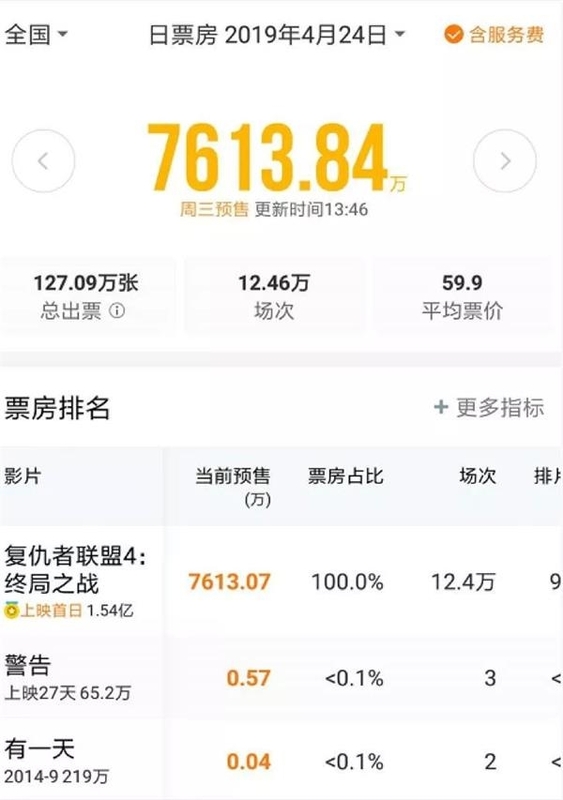 Founder Securities estimates, "Reunification 4" in the general / neutral / optimistic point of view, the box office is about 26/30 / 3.5 billion yuan, with reference to "Fulian 3" first week of the box office of 1.5 billion yuan, accounting for about 65% of the total box office, Assume that 65% of the "Fluor Link 4" box office falls in the first week (April), and it is expected that the box office will contribute about 17-23 billion yuan in April. Tianfeng Securities expects that the "Avenger League 4" box office is expected to reach the order of 3 billion yuan. Not only fans are looking forward to "Reunification 4", but the domestic box office market that experienced a bleak situation in the first quarter is also in need of a big boost. How bad is the movie box office in the first quarter of this year? In the first quarter, the top ten films accumulated at the box office of 14.356 billion yuan, compared with 14.914 billion yuan in the same period last year; the first quarter of the box office broke through 23 million films, compared with 27 in the same period last year. The Spring Festival file was basically the same as that of the same period of last year, but the box office of many films fell short of expectations during the period. From the situation in March, the overall box office has not changed, only 4.142 billion yuan, compared with 5.119 billion yuan in the same period last year. The number of people watching has also fallen sharply. In the first quarter of this year, the number of people watching movies was 480 million, compared with 561 million in the same period last year. It is worth noting that last year, five out of one billion box office supported the second quarter box office of 2018. In the second quarter of 2018, the top five films at the box office were "Fulian 3", "Jurassic World 2", "Later Us", "Top Player" and "Frenzy Behemoth". The five films totaled the contribution for the second quarter of the year. The box office was 7.411 billion yuan, accounting for 62.7%. The top ten film box office totaled 9.342 billion yuan, and the box office accounted for 79.1%. The head effect was more obvious. In the second quarter of this year, there are currently 37 films to be released, including 26 domestically produced films, 2 Chinese Hong Kong films, 2 Chinese and foreign co-productions, and 7 imported films. Tianfeng Securities expects that there are over 100 million box office potential films including "Reunification 4", "Detective Pikachu", "Mother is a city", and there are still films in the file. From the current film lineup, in addition to "Reunification 4",In the second quarter, the box office still needs other large-scale film support.However, according to the rhythm of the filming in previous years, the import films from April to June are expected to be newly added, and at the same time, the information on the quality of domestically produced films can be closely watched. An East ChinaBrokerMedia analyst told China Securities Journal reporter,This year's movie box office growth will mainly rely on domestic movies, but the situation from the content supply side is not optimistic..
Another film and television analyst in Beijing pointed out that due to the general quality of the current fixed film, the overall box office in the second quarter is not optimistic. "Now the schedule is very empty, the competition is not fierce, and there is a feeling that a bad film is not enough." The most direct benefit of the release of "Reunification 4" is the issuer's Chinese film.(600977). As a "national name" team of domestic film companies, Chinese film has the advantage of importing film distribution, and Huaxia Film is the only company in China that has obtained wholesale film importing, and firmly controls the imported film distribution market. The distribution income and gross profit contribution of Chinese film import films accounted for a high proportion of total revenue and gross profit. The revenue share in 2013-2015 was 36.50%, 46.59% and 43.86% respectively, and the gross profit ratio was 23.20% and 33.77% respectively. 37.17%. In 2017, China Film issued 109 imported films, with a box office of 15.32 billion yuan, accounting for 62.54% of the total box office of imported films in the same period. 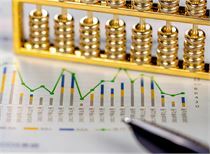 China Merchants Securities pointed out that2019 is a large year of imports"Bumblebee", "How to Train Your Dragon 3", "Alita: Battle Angel", "Amazing Captain" and so on have been released. Cat Eye Professional Edition shows that the market-wide imported film integrated box office achieved a growth of about 20% in the first quarter of this year. Chinese film confirmed to participate in its release of "Reunification 4", this "Reunification 4" is the end of the article and there is not much fierce competition in the same period. In 2019, it is expected that X-Men: Black Phoenix, Toy Story 4, Spider-Man: Heroes Expedition, Frozen 2, and Star Wars 9 will be introduced. It is expected to benefit. However, a medium-sized brokerage media analyst pointed out that "Reunion 4" is definitely good for Chinese movies, but because of the large size of the company, it is difficult to rely on a single film to benefit too much. In addition,Wanda Films, Hengdian Films, Jinyi Films and other film and television companies with many cinemas or benefit from the audience. 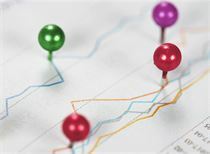 Official announcement: Europe wants to build a quantum communication network Will quantum communication concept ignite A shares? 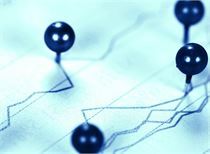 [new stock] The IPO is on the verge of trial and the trend is obviously over 80%.